We start our journey at Gobowen, including a visit to the signal box, before moving on to Weston Rhyn where a connection was made to the NCB colliery at Ifton. The colliery is covered in some detail during the years up to closure in 1968; tank engines "Unity", "Spider" and "Hornet" are all seen at work. Next, onwards to Chirk viaduct and then to Chirk to witness the 50th. 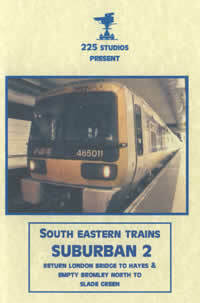 Anniversary celebrations of the closure of the Glyn Valley Tramway. We cross the Cefn viaduct for plenty of steam scenes around Ruabon including the Llangollen line junction. We visit the collieries at Bersham, Hafod and Gresford. 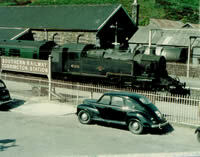 Then at Croes Newydd, Wrexham, we see the diesel hauled steel traffic from Brymbo plus a visit to the engine shed. 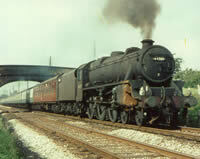 The archive film of steam traction on these routes includes former GWR, LMS and BR Standard classes. 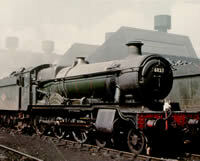 Plus the first working of 4472 "Flying Scotsman" in private ownership in 1963! 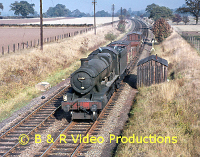 There is some archive footage of main line steam hauled tours from the preservation era as well as a few diesel scenes, making our story complete.